One of the most prolific messaging services of all time, AOL Instant Messenger, shut down at the end of last year. 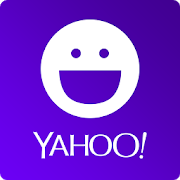 Now it appears Verizon's other long-lived messaging service, Yahoo Messenger, is also shutting down. Yahoo announced today that Messenger will stop working after July 17, 2018. The service launched in 1998 (originally named Yahoo Pager), and included features like file sharing, group conversations, and even interoperability with Windows Live Messenger. The company points to 'Squirrel', a group chatting app currently in beta, as a possible alternative for users. But with all of Yahoo's recent data breaches, you're better off elsewhere.